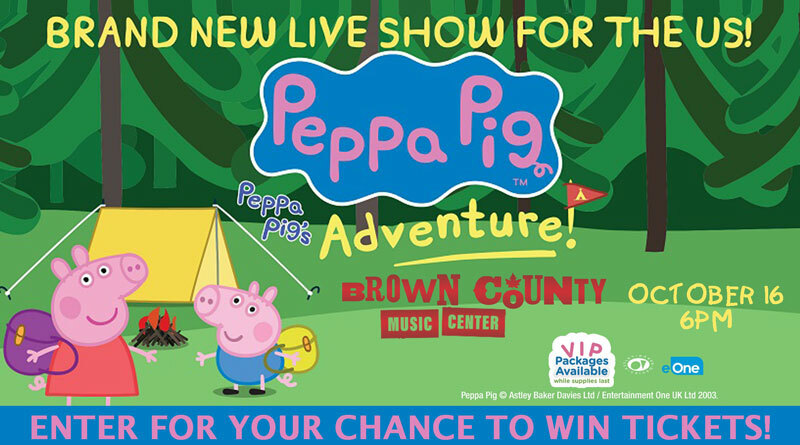 WKKG is sending you to see Peppa Pig Live! Wednesday, October 16th, at the brand-new Brown County Music Center in Nashville, Indiana. Complete the form below for your chance to win a family 4-pack of tickets to the show. Deadline for entries is Friday, April 26th, at 7:00 am. Kelsey and Cody will announce the winners that morning at 7:20am. Good luck from Columbus Regional Health, and Indiana Country 101.5 WKKG!